Ephraim, the criminal younger brother to Jonas Shakafuswa has complained that Kamwendo munjila (In apparent reference to Edgar Lungu) doesn’t listen to him because he has always advised that police inspector general Kakoma Kanganja’s court case with Economic Equity party president Chilufya Tayali be discontinued to avoid further embarrassment. 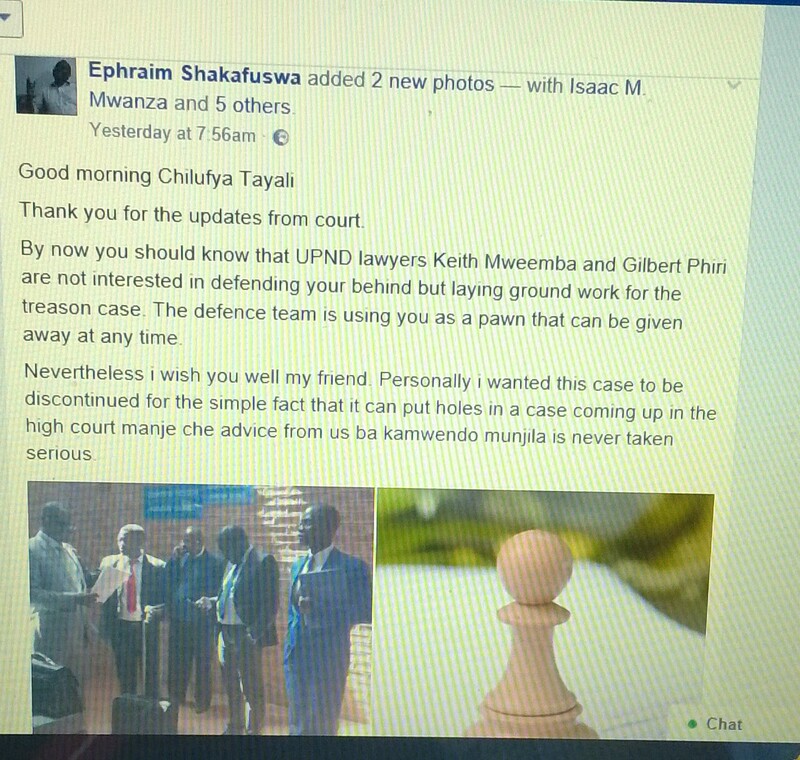 In his facebook post of 1st August 2017, Shakafuswa who was once wanted by the Drug Enforcement Commission – DEC for money laundering advises Tayali that the lawyers representing him are not really after defending him but merely pre-emptying the trumped up treason charge of UPND president Hakainde Hichilema and five others. Ephraim, once a UPND youth activist was alongside his brother allured by Lungu to tarnish the image of the UPND but after being used like condoms they have been discarded and now they have to beg for crumbs from the PF. Jonas’ son Christopher in spite of being favourite for the position of deputy Mayor of Lusaka was dribbled in the last minute when Lungu advised his daughter Tasila to contest the position also but later both Tasila and Christopher were withdrawn. At Zambian Watchdog, we are optimistic that this time around Ephraim’s advice to Kamwendo Munjila will be followed as the state may soon enter a nolle prosequi to save Kanganja from further exposing the evil plan of the tramped up treason charge. But then Kanganja has already done damage and has opened up the treason case which comes up for trial. The same Kanganja is going to be a witness and will meet the same UPND crack squad of lawyers.